Although my mom and I enjoyed our time in Lima, Cusco was our favorite! Spending all of this quality time meant the world to me! The only downside about Cusco? The altitude adjustment (or lack thereof on my end)! I instantly felt hungover, even when I was only drinking hot water. Being with my mom and petting/holding baby animals made me feel better though! We ate at the chocolate museum (twice! ), saw amazing parade floats, visited more animals, climbed the cathedral for the best views, ate more incredible meals, and met some of the kindest people. 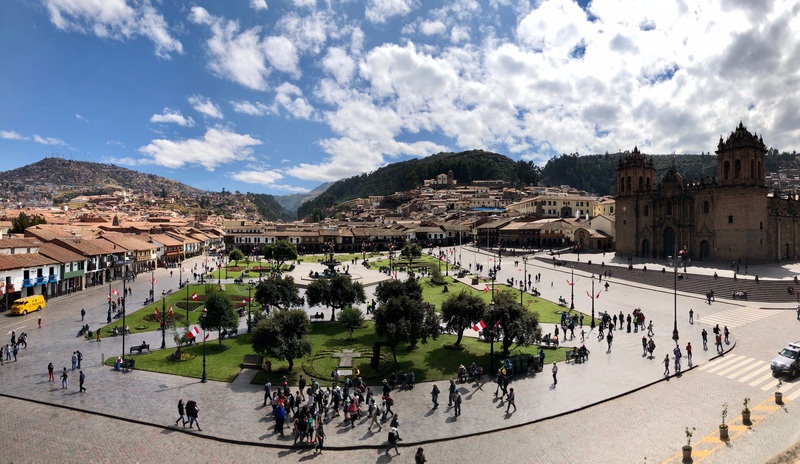 Cusco, we’ll be back for sure! Sharing this experience with my mom is indescribable. We brought back lots of memories (and llamas)!